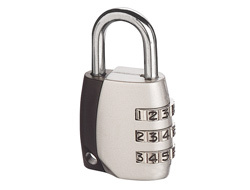 We had this padlock produce as a lower cost alternative to the higher quality aluminium types. You will notice it is the same design as the ABUS 155 Series locks it must be noted it is note the same and does not contain the high quality mechanism developed by ABUS. 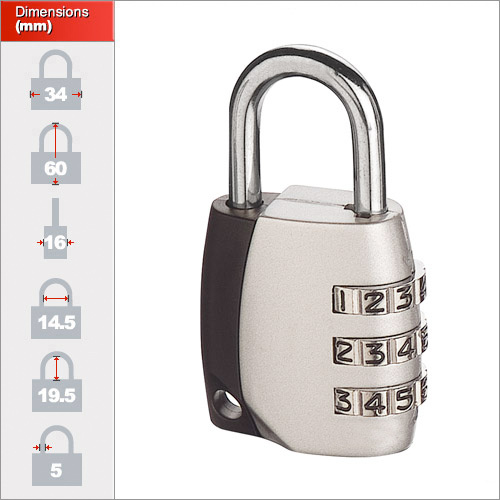 It is however, still a good reliable lock and resettable to you own 3 digit number and ideal as a promotional giveaway lock. The printing process on this lock is Tampo. That is the same highly durable finish to see on keyboards, your iPod, TV remotes and so forth. It is not impervious to scratching but it is very durable and gives the best finish of all the types of print we trialed. As with any service timing can vary and depends on our printers. We generally say printing will take between 7-21 days after the artwork has been approved but usually we can do it all within 1 week.